Florence Caie, Colon Hydrotherapist, Holistic Nutritionist and Live Blood Cell Analyst, received her designation as a Certified Nutritional Consultant, a graduate from the Institute of Holistic Nutrition in Toronto. She is registered with the world-wide International Organization of Nutritional Consultants (IONC). She is also a Certified Colon Therapist, a graduate from the Canadian Natural Health and Healing. She is passionate about preventive health and helping patients heal their bodies with natural therapies. During her 11 years of working at Miranda Naturopathic Clinic, she has helped many patients with her specialty of Live Blood Cell Analysis. With just one drop of blood taken from the client’s fingertip, an analysis is immediately made to recognize nutritional imbalances and early signs of health concerns. As a Certified Colon Therapist, Florence is enthusiastic about helping patients keep their digestive tract as healthy as possible. She has a wealth of knowledge, a caring approach and a natural ability to make her clients feel at ease. This coupled with her integrative approach helps her clients feel comfortable during their treatment and look forward to their next visit. 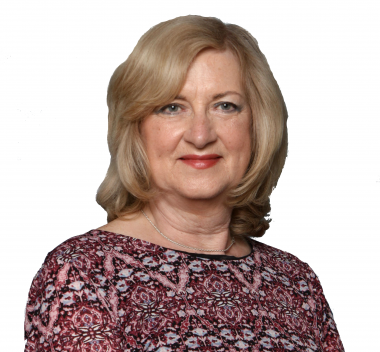 Even though Florence has experience helping with a variety of health concerns in patients of all ages, she has a special interest in treating patients with digestive tract problems such as gas, bloating, constipation, cramping, indigestion and diarrhea. She strongly believes that our digestive tract is the root cause of many problems. “A healthy digestive tract will get rid of fatigue, chronic pain, immune system problems and excess weight. A colonic treatment helps you feel cleaner and lighter” says Florence. Make your colon the happiest it has ever been and schedule an appointment with Florence for a colonic. Till then, have good digestive health!